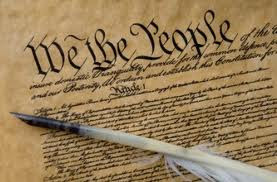 In honor of Constitution Day, 2011, an essay from Stan Stahl. You can find his blog here. He has a knack for reminding us of our roots, the power of community, and the United States model of governance which has never found an equal. Factions we have and we must, but let's find a way to constrain those factions on common ground. Not unlike VisionLink's Community Operating System (tm), we work better when we work together. The options considered by the 55 delegates to the Constitutional Convention were broad. What kind of government were we to have? When the Convention ended, anxious citizens waiting outside Independence Hall wanted to know what had been produced behind those closed doors. The answer was provided immediately. A Mrs. Powel of Philadelphia asked Benjamin Franklin, "Well, Doctor, what have we got, a republic or a monarchy?" Without hesitation, Franklin responded, "A republic, if you can keep it." Here we are, 224 years later, their posterity, inheritors of the greatest Blessings of Liberty the world has ever known ... at a time of deep global, social, cultural, political and economic challenge ... with a Congress having historically low approval ratings and a President whose approval ratings keep falling. A republic, if we can keep it. "We are in the very midst of revolution, the most complete, unexpected, and remarkable of any in the history of the world." Thirteen years before the Constitutional Convention in 1776 we were mad as hell ... at the Monarchy and the British Parliament ... and in our refusal to take it anymore our fathers brought forth on this continent, a new nation, conceived in Liberty, and dedicated to the proposition that all men are created equal. A hundred and fifty years ago, again mad as hell-but this time at each other-we engaged in a great civil war, testing whether that nation, or any nation so conceived and so dedicated, can long endure. By the time our Civil War ended 4 years later, over 600,000 American soldiers lay dead. As Supreme Court Justice Oliver Wendell Holmes learned from his battle-field experiences in the Civil War, "certitude leads to violence." And now it's our turn to be mad as hell-mad at Congress, mad at the President, mad at the Supreme Court, mad at corporations who pay no taxes while shipping jobs overseas, mad at the insurance and drug companies, perhaps the only beneficiaries of Obamacare, mad at gays and lesbians and fundamentalists and atheists-mad at each other. Just like 1776 and 1861, we are mad as hell and we aren't taking it anymore. Through our fury, though, we must answer a fundamental question: "What are we going to do about it?" Do we go to war with each other, like we did in 1861? Or do we find an alternative? If two people work for me and they agree all the time, one of them is worthless. If they disagree all the time, they're both worthless. Fundamental to American liberty are factions. As Madison taught us factions are as American as apple pie. Different people think differently and have different interests. Those with similar attitudes and objectives often bond together, seeking to accomplish their agenda in the political marketplace. The result is faction. Liberty, as Madison so wisely understood, was the very cause of faction. To eliminate factions is to destroy liberty, replacing it with tyranny; a remedy ... worse than the disease, as Madison put it. Factions are evidence of the resiliency of liberty and it is through their growth and decay that the blessings of liberty evolve through history. So factions we must have. Indeed we should glory in them, for they are the very expression of the liberties we hold so dear. Except right now, our factions are mad as hell at each other. And we've got work to do. Difficult challenges to solve. A future to build. Right now, at this moment in our history, in the midst of all of our anger at each other, our factions are proving worthless. America is 14 months away from our next election. Republican candidates are already lining up for the opportunity to take on Obama. The House and Senate are both in play. The media is ecstatic as interest is high. And we know from our long history that politicians play to their constituents. It would be the height of naivety to expect there to be any lessening of factional anger before the election; indeed, factional anger will most likely rise as we get closer to the election. But that doesn't say that we the people have to stay mad as hell, that we have to buy into the institutional anger in our midst. Each one of us has the opportunity to personally get past his or her own set of angers, not to take it, but to work to prepare the ground for what we will need after November 2012. Out beyond our anger live the verities, those eternal truths that have shown up over the course of our sojourn on our home planet, truths about how we connect to each other, how we build trust, how we learn to cooperate. The first of these great truths is the Golden Rule, a general principle found in all of mankind's traditions: Treat others as you would be treated. Love others as you love yourself. The Declaration-that we are all created equal, with equal rights-is but a political corollary of the Golden Rule. We all want liberty for ourselves. Therefore, there must be liberty for all. We are all created equal.